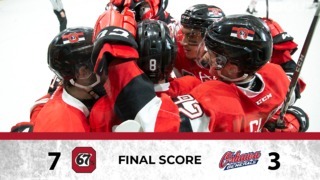 The Ottawa 67’s picked up their second pre-season win in as many contests on Sunday afternoon as the team defeated the Kingston Frontenacs by a score of 4-2 on the road. The veterans made a mark on this game, as both Kody Clark and Sasha Chmelevski each found the back of the net twice in this game, while Tye Felhaber put up two assists. Austrian Rookie Marco Rossi also impressed in his pre-season debut, picking up a pair of helpers. 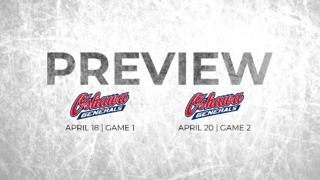 The Frontenacs took an early 2-0 lead in this one, scoring two goals before Sasha Chmelevski cut their lead in half with just a second left on the clock in the first period. The second period was a scoreless one. Rookie netminder Will Cranley was solid in front of the 67’s net, as he stopped all 14 pucks directed at him, including one on a penalty shot. He ended the game with 25 saves. The Barber Poles took control of this game in the third period as Chmelevski and Kody Clark scored a goal each in just over thirty seconds. Clark scored his second of the period into an empty net with just under a minute left. 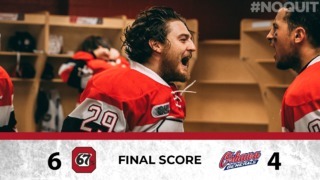 The 67’s will hit the ice once again on Monday, September 3rd close to home in Cornwall when they face the Frontenacs for the second time in 24 hours at the Cornwall Civic Complex at 2 pm. Ottawa will open their regular season schedule at home when they face the Mississauga Steelheads at TD Place on September 21.